Do you have multiple children, think crossovers are overplayed, and still appreciate well-weighted steering? Honda's got the van for you. Earlier in the week, The Drive brought you a review of Honda's newly redesigned purveyor of family happiness, the 2018 Honda Odyssey. 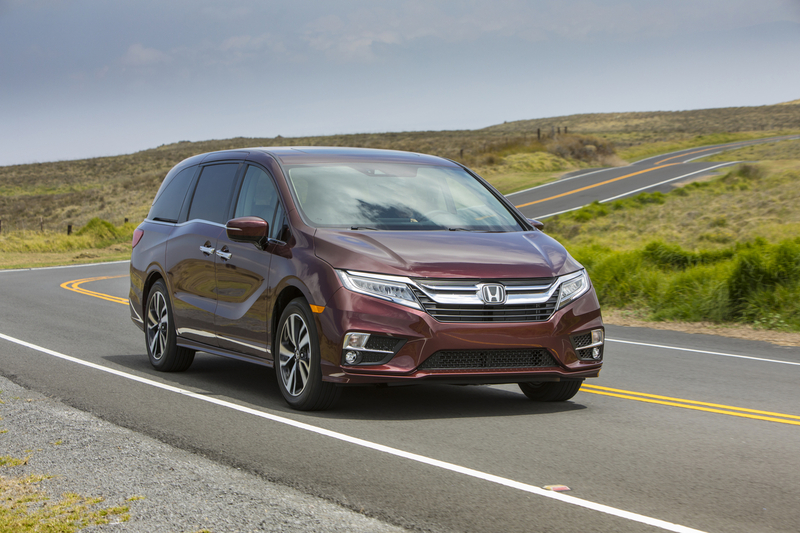 In addition to being family-friendly and feature rich, our chief auto critic touted the Odyssey's position as the best handler among its peers—namely, the Toyota Sienna and Chrysler Pacifica. Today, the Japanese automaker has officially announced pricing and release information for its new Ohio-born van. Available to build and order at your local Honda dealer starting tomorrow, the 2018 Honda Odyssey LX will come with a starting price of $29,900. However, buyers will have to opt for a trim EX-or-above to get many of the new features Honda is introducing, such as the trademarked Magic Slide second-row seats, Apple CarPlay and Android Auto integration, Honda's full suite of active safety features and sensors they dub Honda Sensing, and the CabinControl app—a feature that hands audio control to second and third row passengers via their smartphones, just in case you forgot what "Let It Go" sounds like. This jacks the price up to at least $33,860. 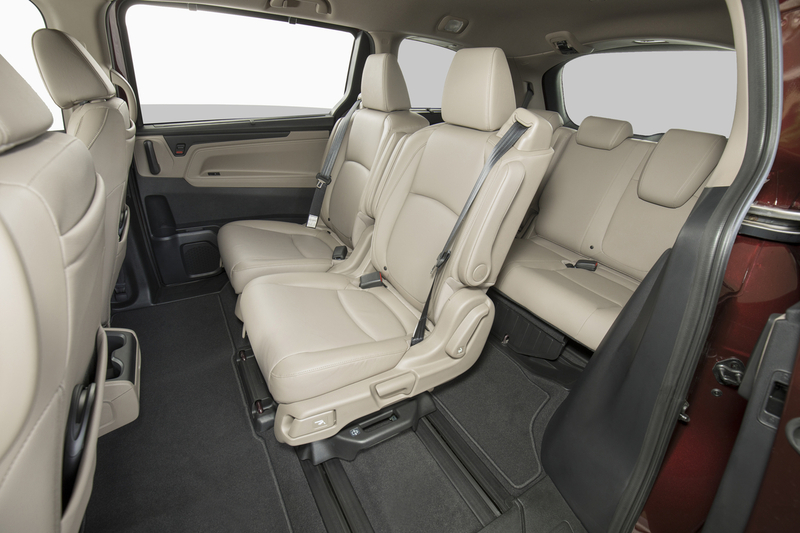 At $37,360, the Odyssey EX-L throws in a leather interior in addition to the CabinTalk in-car PA system, taking embarrassing your teenagers in front of their friends to brand new heights. 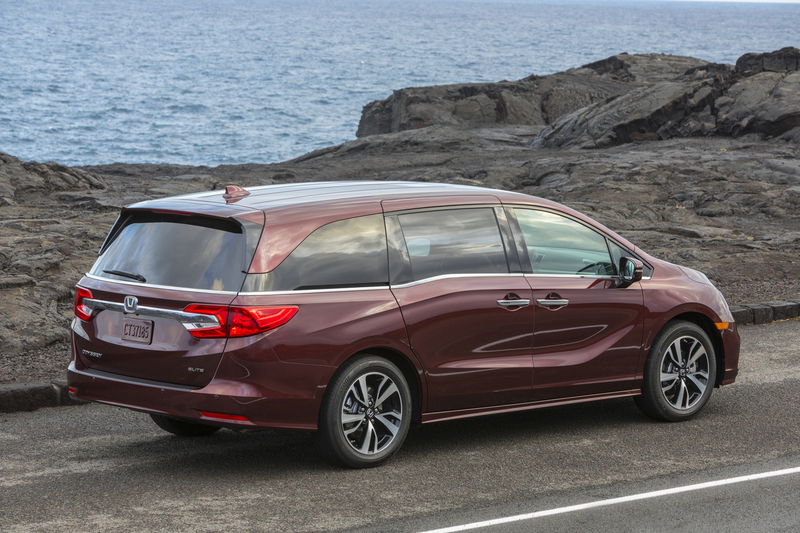 Stepping up to the $44,510 Touring trim, the Odyssey features on tap include LED headlights and fog lights, a hands-free power tailgate, 4G LTE Wi-Fi, parking sensors in the front and rear, the CabinWatch camera which functions exactly how it sounds, and the built-in HondaVac vacuum. Ody buyers with cash to splash will undoubtedly be interested in the top of the line Elite model, which exclusively offers luxurious goodies like 19-inch wheels, a heated steering wheel, heated and ventilated front seats, wireless device charging, rain-sensing wipers, additional noise insulation with acoustically laminated rear glass (lesser trims make do with only having the front glass panels laminated), and a 550-watt 11-speaker premium audio system so you can experience Disney's latest bangers in sublime, crystal clear quality. The Odyssey Elite costs $46,670. All Odysseys come equipped with a 3.5-liter direct-injected V-6 producing 280 hp. More common trims will mate this engine to a nine-speed automatic, while Touring and Elite trims get a new ten-speed transmission, which should make those long Thanksgiving highway miles to Grandma's house a little more economical.